The HarperCollins, the world largest education and entertainment publication has partnered with the Indian Sports Fan (ISF), India’s largest community of sports for a women’s cricket outreach program. 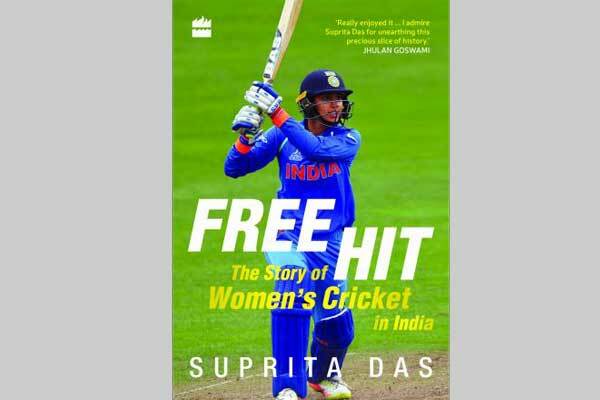 The Move has been seeing the ongoing Women’s T20 World Cup in West-indies, just days before the release of ‘Free Hit: The Story of Women’s cricket in India’ penned by Award-winning journalist Suprita Das and Published by the HarperCollins India. Working together HarperCollins India and Indian Sports Fans will be catering to women’s cricket fans from 17 countries with exclusive content, podcasts, chats sessions with the author, various other Indian women’s cricket facets starting with fan reading sessions from Free Hit not only in India but also the U.K. ISF has 72,000 sports fans from across the world on its social media platforms. With over 72,000 followers on its Twitter profile, the Indian Sports Fan team took shape in the form of an exclusive WhatsApp group that has 150-odd high-powered fans, league team owners, sports media, Sportspersons. Prominent like Asian Game Gold medalist, Ashish Ballal (Olympian and former goalkeeper, Hockey), Boxer Akhil Kumar, former goalkeeper Baljeet Singh (Hockey), India’s first woman Olympic medalist Karnam Malleswari (weightlifting), sportscaster Sahil Khattar, Sunil Taneja along with various other sports media people and fans are a part of this group.